Feel the Ocean Breezes, approx 4 miles from the beach, this 2bed/2bath has numberous upgrades in Oceanside's beloved Senior Park - Rancho San Luis Rey. The resort-like community has 2 pool, 2 spas, car wash, and many social activities. The low space rent of $538 inc water, trash, and sewer and is on rent control. 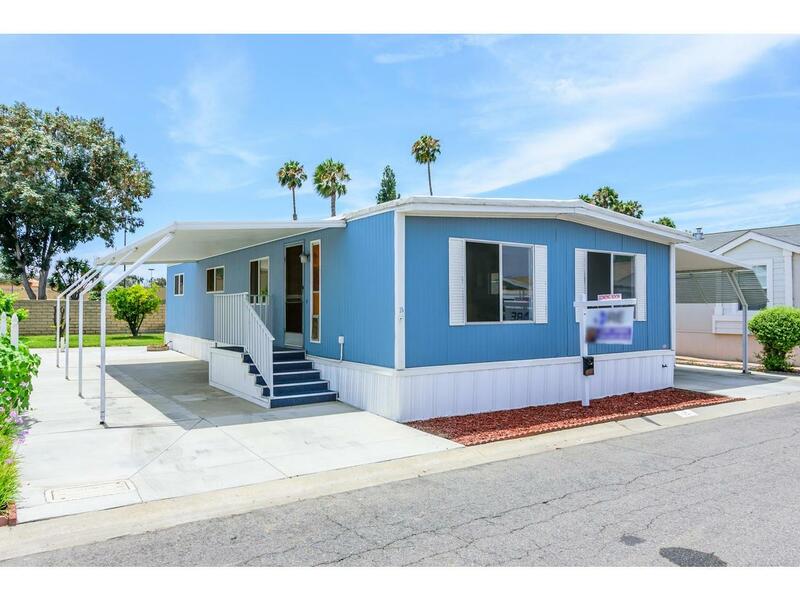 This 2bed/2bath is 1152 sq ft, has a extra-wide driveway with a fantastic, newer shed plus a beautiful yard. 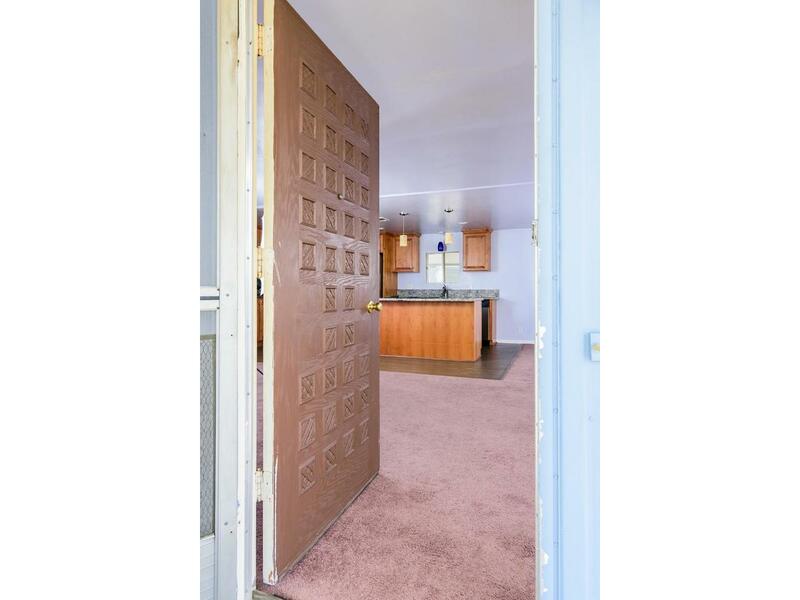 Fabulously updated kitchen with granite countertops and stainless steel appliances. 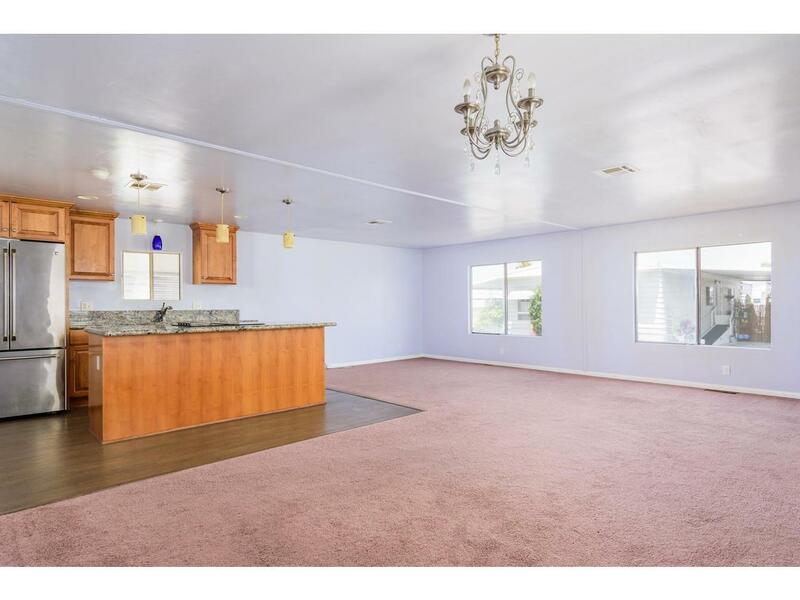 This home has a very open floor plan and is very bright and cheerful. The kitchen is stunning with all the upgrades cabinets, granite, built-in microwave, pull out drawers in many of the cabinets, pendent lighting, and upgraded stainless steel appliances. Washer and Dryer are included. The driveway is 16 ft wide and concrete with extended supports and a fairly new shed with study siding and shingle roof. Endless possibilities with the yard and this is a very pet friendly park. 2 Small pets are allowed and one resident must be 55 and the other can be 45 or older. This friendly and social community has mature trees, flowers, grassy areas and a happy atmosphere. 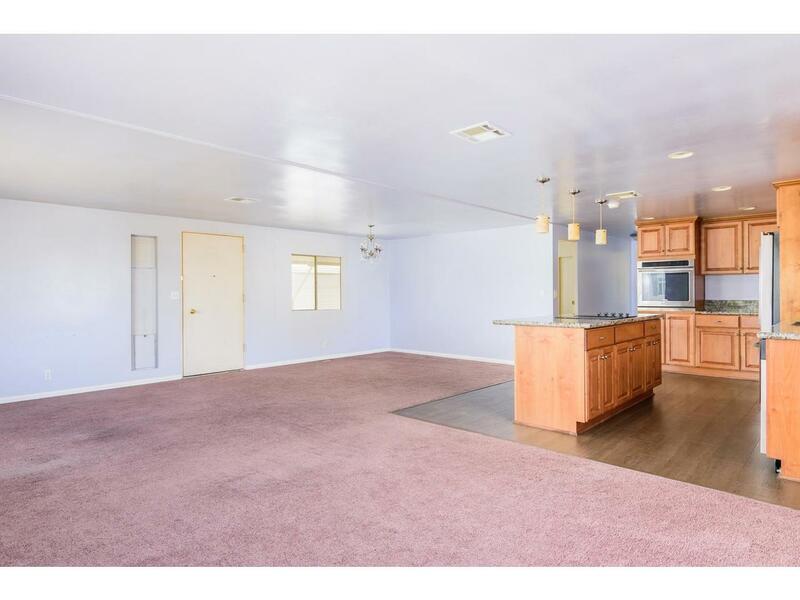 Affordable California Living at it's Finest.